My role in the Environment Agency is about looking to the future of flood and coastal erosion risk management. I’m lucky enough to be doing the job when we’re working with partners to develop a new strategy looking forward to 2050: exciting times. There are big challenges to face, as Sir James Bevan outlined at the Flood and Coast 18 conference last week, and a whole range of uncertainties to manage. We can do that much better if we work with others. In order to make those tough decisions about the future, we need to be really sure of where we’re starting from. 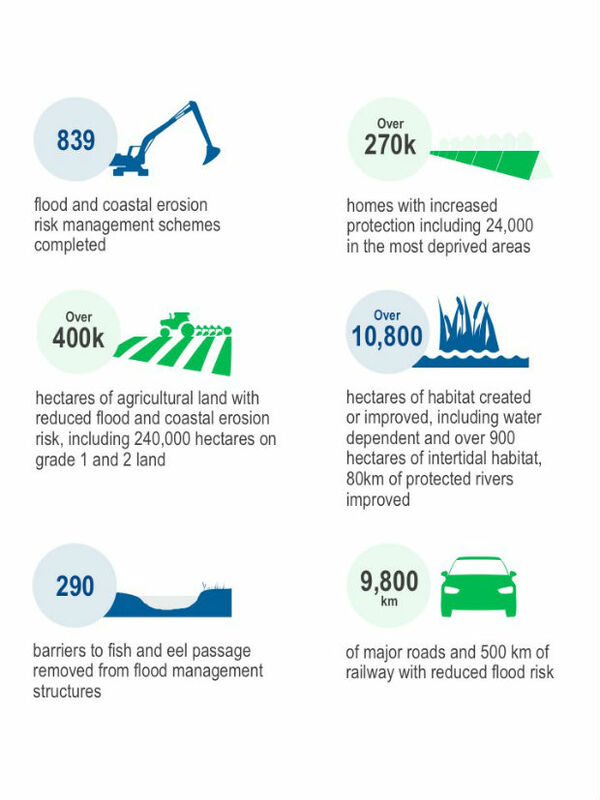 In 2010 the landscape of organisations involved in managing flood and coastal erosion risk shifted when the Floods and Water Management Act came into force. 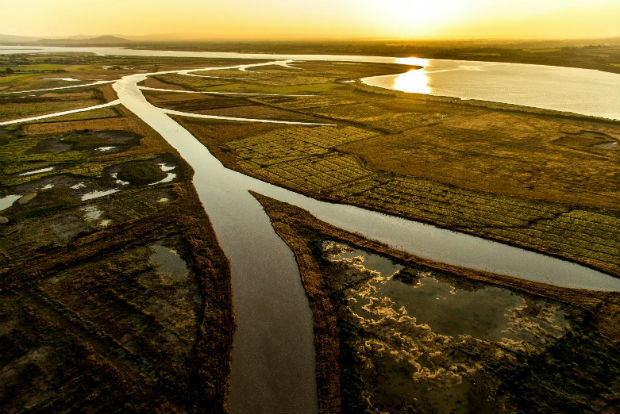 It gave a number of organisations the status of ‘Risk Management Authority’ and allocated them responsibility for managing different elements of flood and coastal erosion risk. It includes many local authorities, water and sewerage companies, internal drainage boards and the Environment Agency. We call Risk Management Authorities - and the wider organisations involved in managing flood and coastal erosion risk - the ‘flood family’. Working with these Risk Management Authorities around the country, we’ve looked back at the first six years of this approach and summarised them in our new report Managing flood and coastal erosion risks in England: 2011 to 2017. It’s clear that those partnerships have helped to achieve much more for the communities we serve than any individual body can alone. We have increased the protection provided to more than 270,000 homes. We have reduced risk to almost 10,000 kilometres of road and 500 kilometres of railway as well as over 400,000 hectares of agricultural land. We have also created or improved almost 11,000 hectares of habitat for wildlife. We’ve also evolved the way we work. Our warnings reach more people in more ways with more accurate information and advice. Over 1.3 million mobile and landline customers are registered for a flood warning service; and our web based information was accessed by over one million people worldwide during Storm Desmond on 5 - 6 December 2015. But for me the most exciting thing is that our messages and our digital tools have been shaped through user testing by the people who we develop them for. 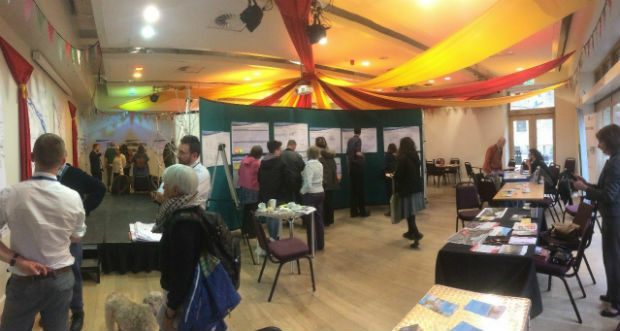 Bringing the public, who after all are those most affected by flooding and flood risk, into the team working to reduce the risks just makes sense. We’ve made significant changes to the way in which we fund schemes to improve protection to houses and communities too. Previously all money came from government prioritised against national criteria. The new approach ensures that government funding is available for any scheme by linking it to better protected homes and economic benefits. The greater the benefit the more government funding available. So where this money isn’t enough to fund an entire scheme, communities can get involved in looking for alternative approaches to manage flood risk. This has led to £190 million of partnership funding. Along with the £160 million contributed by local authorities via the Regional Flood and Coastal Committee administered local levy, this has allowed hundreds of schemes to go ahead which wouldn’t have otherwise done so. We mustn’t forget that between 2011 and 2017 we saw record-breaking extreme weather. Many thousands of householders and businesses experienced the devastating impact of flooding: and many are still living with this now. Our collaboration across the flood family has helped us to continually evolve and improve how we respond to flooding like this. And again the most important part for me is the work we have done with communities to help them understand the actions they can take to reduce their own risk and the measures they can put in place to increase their properties' level of protection. Of course there is more to be done. And managing the future is going to require more evolution as the pressures we face change and grow. That’s where our strategy, as committed to in the 25 Year Environment Plan, comes in. We aim to set a vision for 2050 and a clear ambition of how we will increase the nation’s resilience to flood and coastal erosion risk. We will accompany this with a clear set of actions for the short-term to ensure we achieve the strategy’s goals. And, most importantly, this will be informed and supported by those who have a role in making it happen. We’re beginning to talk to our partners more on this over the next few weeks so watch this space. You can register your interest in to be involved at www.smartsurvey.co.uk/s/FCERMstrategy. Clare Dinnis is the Deputy Director for Flood and Coastal Risk Management at the Environment Agency and Chair of the Advisory Committee.